You have the potential to be among your organization’s greatest assets — but capitalizing on your abilities requires new knowledge and skills. High-Potential Leaders: Accelerating Your Impact provides you with both, building your leadership strengths and preparing you for greater challenges. 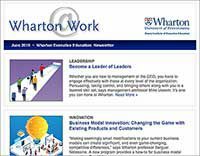 In this highly personalized program, you will work closely with Wharton’s leadership experts and other high potentials from around the world in a dynamic, interactive environment. Each day you will test new strategies and practical tools through hands-on experiences with instant feedback, and participate in integration sessions that connect program content to your real world issues. High-Potential Leaders will prepare you to return to your organization ready to make an immediate impact. Academic Director Sigal Barsade says High-Potential Leaders: Accelerating Your Impact provides a practical set of skills and insight into leadership. Program Overview: This program helps executives work on their leadership mindset. During this intensive five-day program, you will uncover your individual leadership style and develop your strengths. You will work directly with world-renowned experts in leadership development and management, and have a unique opportunity to broaden your global perspective by learning alongside high-potential peers from various countries, vertical industries, business disciplines, and cultural backgrounds. High-Potential Leaders is a highly relevant experience that includes work on a current complex business challenge of your choice. Working with two other team members, you will apply each day’s learnings to your challenge and create potential new solutions. You will come away with fresh perspectives, a deeper immersion into the program content, and a plan for addressing your challenge when you return to work. The Business Challenge: Participants must work on their own business challenge or professional role. A highlight of High-Potential Leaders is the Emotional Intelligence Self-Assessment. This exercise begins with your pre-program input before the program and continues during the program with feedback and practical exercises to improve your level of emotional awareness of others’ behaviors. One exercise, originally developed for medical students at the Yale School of Medicine, takes place at the Pennsylvania Academy of the Fine Arts. Participating in this assessment will increase your awareness and understanding of non-verbal signals, and your ability to make appropriate judgments based on that information. Developing your emotional quotient (EQ) skills will lead to a greater understanding of first impressions and your own leadership presence. Emotional Intelligence: Prof. Barsade explains the importance of developing this skill. Although the ability to lead and manage change is critical to organizational success and survival, most change initiatives fall short. It is not surprising, then, that change continues to frustrate leaders. In an experiential change management simulation that has been used with Fortune 500 executives, U.S. military generals, and MBA students. Here, you will have the opportunity to test your intuition, identify strengths, discover vulnerabilities, and master a framework for leading change more effectively. High-Potential Leaders: Accelerating Your Impact is designed for those with at least 10 years of experience and whose fast-track career has involved consistently increasing levels of responsibility. 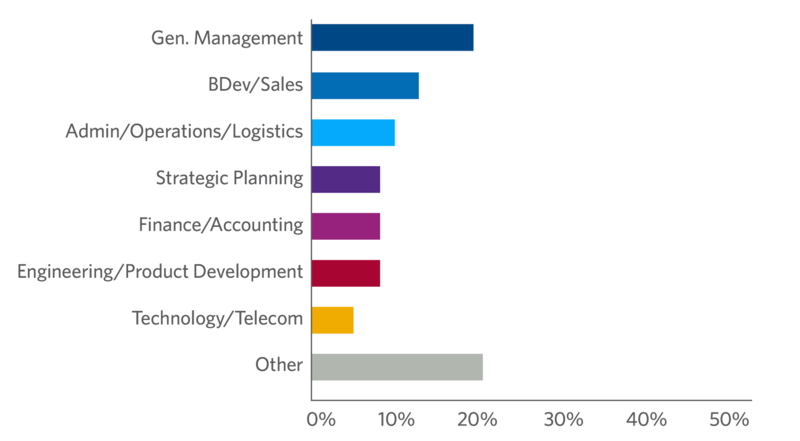 Participants have an ultimate goal of reaching senior management. Wharton Management Professor Sigal Barsade says leadership skills can be improved first by having a good assessment of what your current strengths and weaknesses are. Secondly, and most importantly, you have to be motivated to want to improve them. And then lastly, you need to find information, either in the form of books or courses, to be able to help you address the pieces of the skills that you want to do better at. What is Emotional Intelligence (EQ) and how does it apply to leadership? Emotional intelligence is comprised of three parts: The first part is your ability to read your own emotions, and to be able to read the emotions of other people. The second part is your ability to understand other people’s emotions, so can you have empathy, have perspective taking. And then the third part is your ability to regulate your own emotions and those of others, meaning are you able to be aware of emotions, but not be overwhelmed by them, and help other people do the same. What are the benefits of Emotional Intelligence (EQ) in the workplace and everyday life? Increasing your emotional intelligence will give you a skill set that helps you relate to other people and increase your self-awareness of how you are behaving. If you’re able to read and understand other people’s emotions and know how to regulate your own emotions too, you’ll be much more effective in all aspects of life. What is organizational culture? What are the types of organizational culture? Organizational culture are the unwritten rules about how you should go about behaving and thinking and feeling at work, says Wharton Management Professor Sigal Barsade. Cognitive Culture: The norms and values and deep underlying assumptions around how employees should think at work about the work, the way that they do work, and the work that they’re doing. Emotional Culture: The norms and values and deep underlying assumptions about what emotions employees should be showing or are showing at work, and which they’re better off not showing. The best way to improve your organizational culture is to first assess: Is it the best culture that matches your strategy and your structure? Culture, strategy, and structure all need to be in alignment to have an effective culture. There’s no such thing as just one right performance culture for every company. It really depends on these three factors. Once you’ve decided what your culture should be, the way to improve your culture is to measure where you stand currently, to think about the best ways to get that culture throughout your organization, and to follow up and make sure that the improvement is happening. What is the “magic” behind becoming a good leader? As you think about improving your leadership skills, a lot of times, that can seem very intimidating. We look at great leaders and it seems like what they’re doing is magic. But the beauty is is that leadership is actually not magic. It is a set of skills that anyone can learn, says Wharton Professor Sigal Barsade, who is the academic director of Wharton Executive Education’s High-Potential Leaders program. This set of leadership skills includes things like emotional intelligence, teamwork, negotiations, and the way that you improve this skill set is by doing an assessment of where your strengths and weaknesses are. If you acquire and practice those skills, you’ll just make it look like magic. 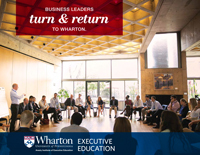 I must say, Wharton was truly an experience that punctuated my values...and overarching imperatives. The class was insightful, enjoyable, and profound. There were times that it struck an emotional cord bringing tears to my eyes. Most importantly it drove home the values of integrity, authenticity, empathy, and transparency." I better appreciate the need to network externally, remain current, and position myself for change, while maintaining balanced physical, professional, and personal activities. 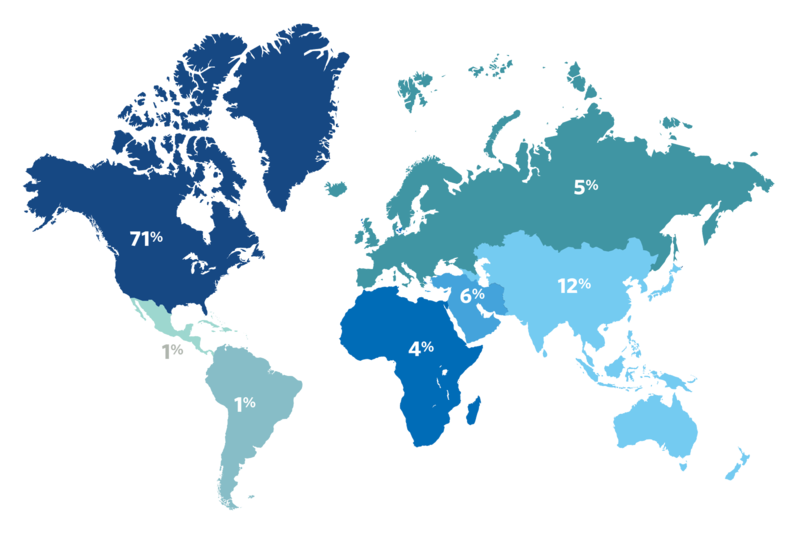 Nearly half of the classmates were internationals…and their perspectives were so important to the success of the experience.